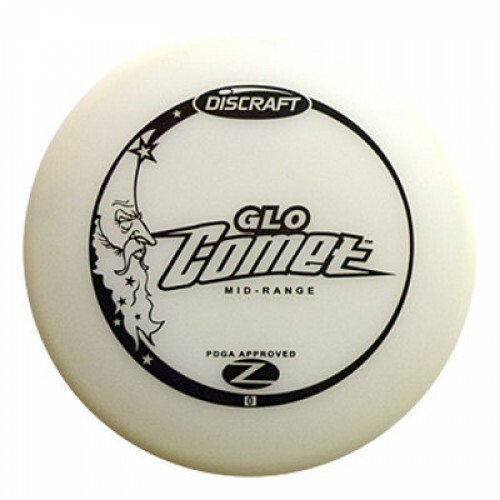 The Discraft Elite Z Glo Comet is a super accurate, straight flying, stable mid range approach disc (0.0). It holds whatever line you throw it on. Great fun for night disc golf. The Comet was crucial to Ron Russell's Pro Worlds disc golf victory. Great for all players in all conditions and super accurate from any distance. This is a great beginner disc golf driver.